Product #22000 | SKU MCT-SD4BL | 0.0 (no ratings yet) Thanks for your rating! 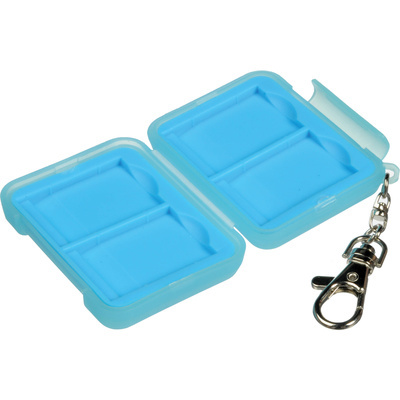 The light blue Memory Card Case for 4 SD Cards from Ruggard is a hard plastic case with a custom fit moulded rubber interior. The case is designed to protect your cards from shock. A snap closure holds the case firmly shut. It is carried by a small key chain that can be attached to your belt or bag strap.